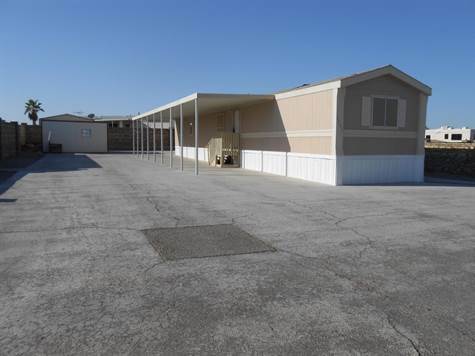 Cute 3 bedroom 2 bath home located in the desirable Foothills with mountain and desert views. This fully furnished home is move in ready and is perfect for year rounders or winter visitors! Has updated hardwood flooring in the kitchen and ceramic tile in both bathrooms. Kitchen also has plenty of cabinet space and a built in glass/ china cabinet. Covered and uncovered parking with RV access and an RV hookup. Property also includes both a work shop and a storage shed. Call now to schedule a showing!